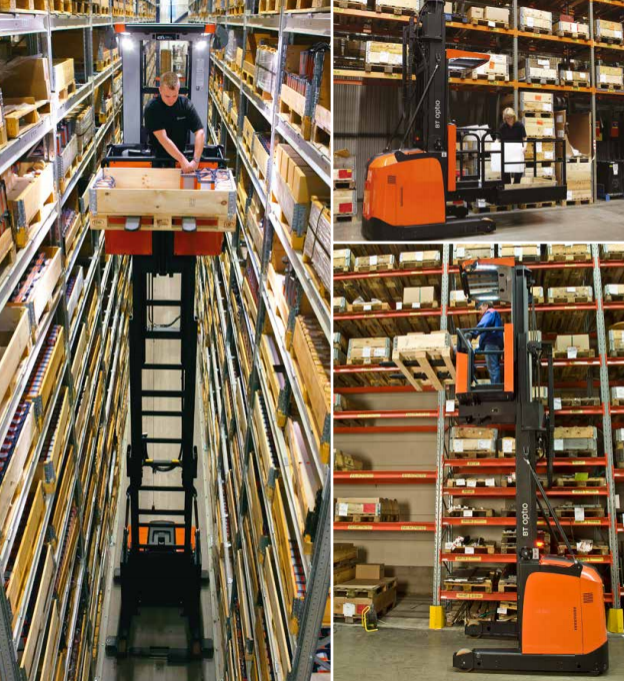 For the highest level of order picking in its class, the BT Optio H-series has a compact design and unique safety features that make it ideal for intense narrow aisle material handling operations. Designed for wire or rail guided operation, as well as ‘free-ranging’ in wider aisles, the H-series is safe enough for everyday use. With a spacious cabin and travel speeds of up to 12 kilometres per hour, our high-level order picking trucks offer maximum operational flexibility, helping to drive down costs. 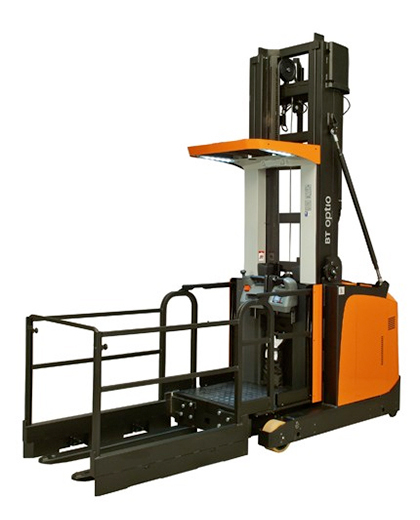 The two compact order picker models in the BT Optio H-series range offer simultaneous drive and lift action for smoother and more efficient order picking. With a load capacity of up to 1.2 tonnes and picking heights up to 12.1 metres, our H-series order pickers set new standards in productivity and performance. The BT Optipace system monitors truck load and lift height, optimising speed accordingly, whilst fingertip control allows for maximum precision. With an adjustable console and backrest, the H-series order pickers offer the option of driving in both directions.